Prof. Dr. phil. Rainer Zimmermann is Professor of Strategy, Design and Communication at the Peter Behrens School of Arts / University of Applied Sciences Düsseldorf and founded the Retail Design course together with Prof. Philipp Teufel in 2013. 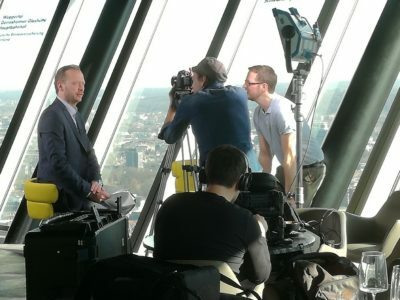 In the interview with EuroShop.mag Prof. Zimmermann answers questions about contemporary city (development) marketing and its challenges, the competitive potential of city centers compared to online trade, recommendations for action for German cities to remain internationally competitive as well as an assessment of Düsseldorf’s cityscape in 20 years. How much do you know about the future of shopping?